Off the Beaten Path: Are You the Most Excellent? Are You the Most Excellent? I had monitored the situation pretty well for months. So I knew what to expect. Except there was always the exception. There was always that one classs in which I was riding the fence. And when I received that little brown envelop with a dozen signatures in my mom's fluid handwriting on the front, I'd pull out the worn card inside and my eyes would go right to that one class. "A". That's what I was looking for. Would the grade for that one class match the grades for all the others? Would they all be "A"s or would I receive the one, occasional "B"? Now here's the full disclosure. I didn't need to be perfect. I rarely scored a 100% on anything. And if I did, I didn't keep records. To me a 90% was as good as a 100%. That was just my way of calculating excellence. You may have a different way. But I never considered myself to be a perfectionist. 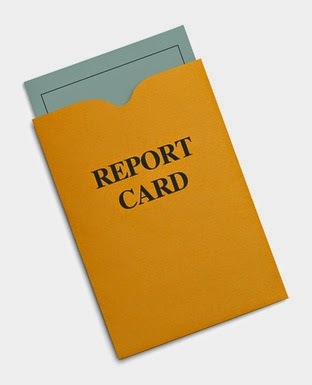 Sure, I scanned the report card looking for all "A"s, but I knew none of those "A"s represented 100%. So when people despaired over being perfectionists, I checked out of the conversation. I wasn't one. Turns out, however, that while I wasn't a perfectionist I was an excellor. I may have just made up a word, but it fits. I wanted to excel. At everything. I wanted to be excellent in every area of my life. Quite honestly, while I was willing to give myself enough grace not to be perfect, I still expected to be the best at everything. That attitude set up a double conundrum. I wanted to be best, but I didn't want to work hard enough to be perfect. That meant that if anyone else did better or achieved more or came closer to perfect...then I was desperately jealous of them. Voila! I put pressure on myself to achieve the highest praise and be the best. And I was pathetically jealous of anyone who did better. I remember having a conversation years ago with my friend Kim. In the safety of that friendship I finally confessed to someone that I struggled with needing to be the best...not perfect, just the best. Now Kim is one of those friends who actually thought I was pretty darn good at a lot of things. She admired my talents in writing, singing, cooking, etc. But she boldly warned me that day, "Kay, you might be best at something for a little while, but eventually someone else will come along who is better. It happens every time. So why don't you just aim to be your best instead?" I've held onto and revisited that advice many times over the years. And it's freed me up in so many ways. But one of the most precious results of heeding that wise advice has been that it's released me from the jealousies I battled. When someone sings better than me (and MANY people sing better than I do! ), I enjoy their beautiful voice instead of resent it. When someone cooks a dinner that blows my cooking out of the kitchen, I enjoy the fruits of their labor instead of stewing over it. When someone writes a blog post that employs both beautiful phraseology and sing-song words and speaks to my soul, I praise the Lord for ministering to me through their words instead of trying to one-up them. And when some sweet mama tells me about something creative and beautiful she did with her children that I didn't do when I was raising mine, I count myself fortunate to have such a smart friend rather than marking her off my list of friends. Maybe being an excellor is just as damaging and dangerous in the long run as being a perfectionist. Both are awfully tiring. Both lead to jealousies and competitions. Both create loneliness rather than community. And neither are God's desire for us. You see, friend, God has already made us complete and beautiful. He doesn't send us out into our days to be perfect or even best. Instead, He offers to walk with us through the grit and the grime, the ups and downs. And all along the way He gives grace, grace, grace. In our weakness - our imperfections, our failures, our shortcomings - He proves strong and able and enough. 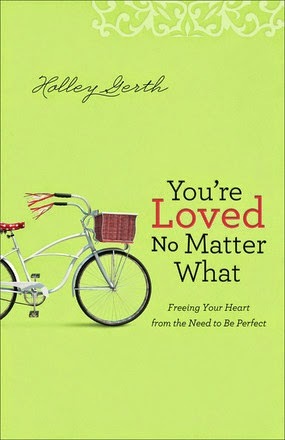 Holley Gerth suggests in her new book You're Loved No Matter What that we swap perfectionism for excellence. But to a gal who was plagued for years with the need to be excellent at everything that didn't sound like a viable option to me. Until I read on. Holley writes, "You have only so much time, energy, and emotion in your day. You must decide how to use those resources. It's okay not to be excellent at everything." Wow! That frees me. What about you? She continues, "When you intentionally choose not to be excellent in an area, it's not failure; it's wisdom. It's using your life well." Holley recommends that you evaluate the gifts, talents and passions God has uniquely given you and choose to strive for excellence in those areas alone, allowing other people to shine and help you out in the other areas of life. I like that. Are you a perfectionist? Or, like me, have you struggled more with being an excellor - someone who strives to be most excellent at everything, resenting those who are better and counting them as competition rather than companion? Either way, I'd like to suggest you check out Holley's new book for yourself. I'll admit, when I first picked it up I thought it wasn't for me. I'm not a perfectionist, nor have I ever been. Right? (Grin.) But her words resonated with me because while I may not strive to be perfect, I still get hung up on the need to be best occasionally. Holley's encouragement has given me renewed freedom and hope today. I think it would do the same for you. So, friend, here's to a most excellent day! One in which we enjoy the grace of God and do our very best to please only Him. One in which we love fully and excel in a few things, but we give Him all the glory in the end anyhow! Do you struggle with perfectionism? What has helped you have a little healthier perspective on living well? One more thing! You can help spread the love for Holley's new book here.